C is a letter from “a” to “h” and denotes a column. N is a number from 1 to 8 and denotes a row. 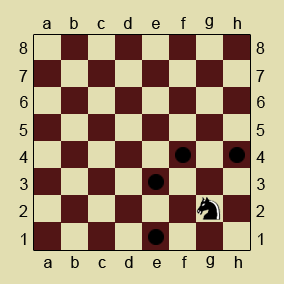 Each position is indicated in a new line. # The codepoint of `a` is 97. # The `a` is regarded as `1` in this program.